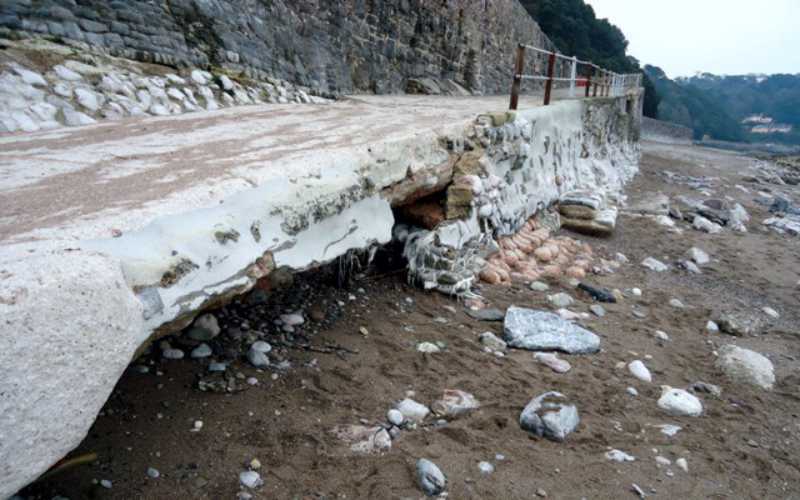 Millennium Marine Contractors were hired by Torbay Council as the main contractor for the seawall repairs at Meadfoot in Torquay, South Devon. 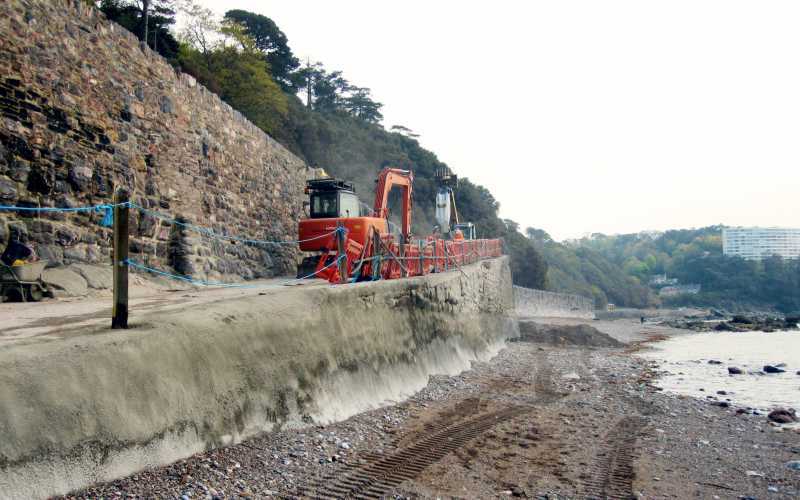 Working in the tidal zone two phases of work were undertaken: Phase One A & B: Structural repairs to slipway and revetment. 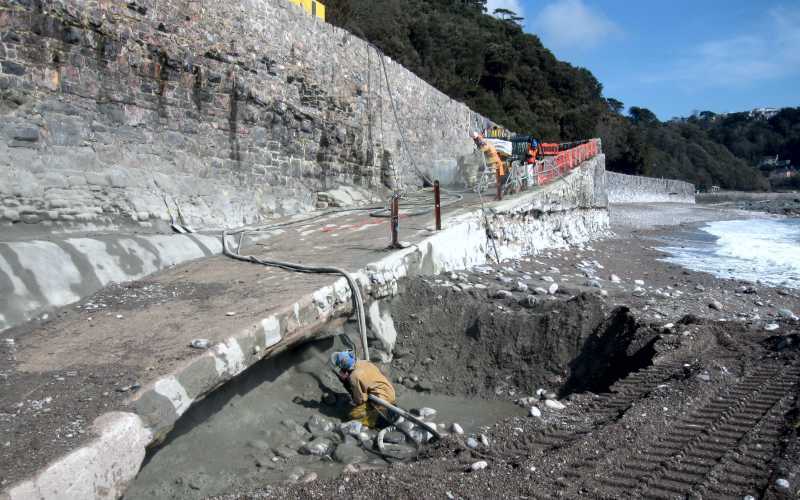 Phase Two: Reinstatement of the stairwell plus additional repairs to the seawall. 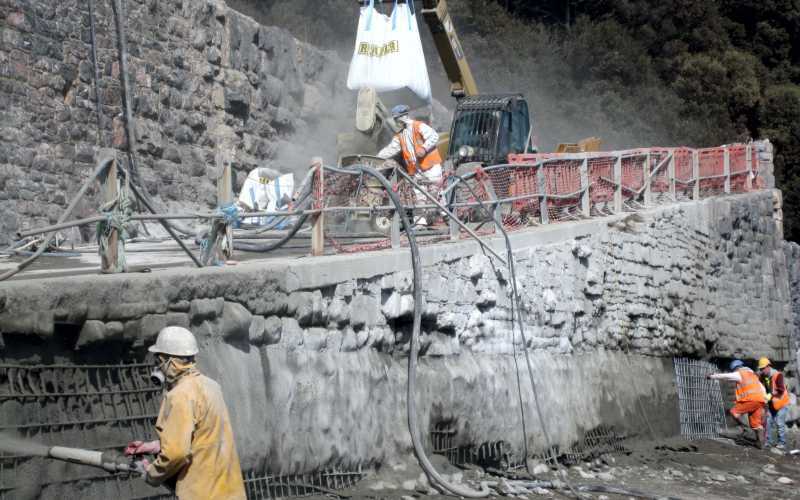 Mass pour and spray concrete were used.